Hopefully if Hurricane Sandy has not ruined Halloween for too many folks on the East Coast. We just had rain and wind, so I feel blessed. If it does not rain too much and the kids can stay out as long as they have in the past, this equals a lot of candy. You and your children have picked out your favorites and now what? What to do with left over Halloween Candy? I thought I would share some things you can do, both edible and charitable with your extra Halloween candy this year. 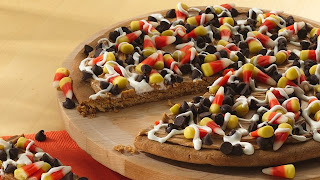 I found these great recipes of things you can make with Left Over Halloween Candy. Any type of Candy Bark is always a big hit and can easily be packaged as Thanksgiving or Christmas gifts to friends and neighbors. Thanksgiving Party Favors are a fun addition to any ones table. Candy Cornucopias filled with left over candy. You can melt all your chocolate bars into fudge or fondue. Of course save the hard candy for Christmas and use it to decorate your Gingerbread Houses. Last year my kids found a dentist in our area that was participating The Halloween Buy Back Program. You can find a local dentist participating in your area, you do not have to be a patient, and they will buy the children’s candy back and send them to the troops as part of OPERATION GRATITUDE. As an additional incentive, I offered to match the dollar amount they received. Many offices also have other giveaways going on. As a bonus my son also won a IPod Shuffle last year. This was a win win for him. 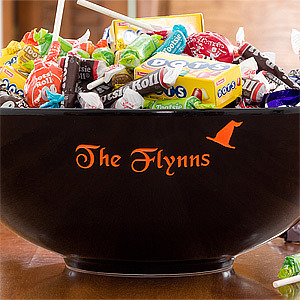 Call your church or local hospital and see if they have a collection box for extra candy. Wishing everyone a safe and fun Halloween if we can get through the next few days of wind and rain!! « Kukees Review–Cookies that will blow you away.